Explore the library for access to free daily journaling prompts and writing exercises designed to help you do it right. Who it’s for: anyone trying to figure out what ‘doing it right’ even means, let alone means to them. 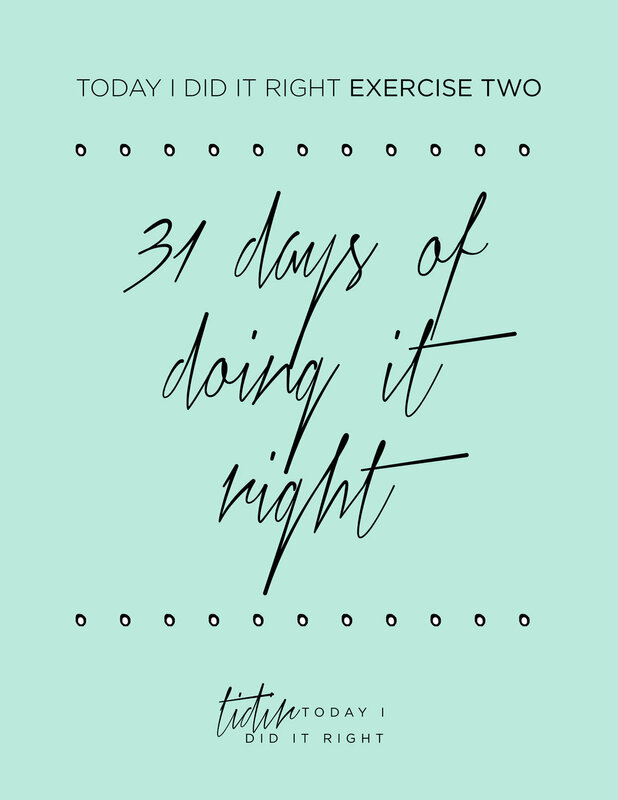 Download 31 actionable suggestions on how to do it right each day and a months’ worth of daily writing inspiration. Who it’s for: anyone ready to kickstart a new year or embark on a new journey in doing it right. BE THE FIRST TO DO IT RIGHT. Thank you for signing up to do it right! We’ll talk to you soon. ©2019 - TODAY I DID IT RIGHT™. All Rights Reserved.